Blown insulation is one of the most popular types of insulation that people are using today. It is also called loose fill insulation and is normally used to insulate existing structures that never had any insulation before, as well as anywhere that additional insulation is needed. Blown insulation is made up of loose particles that are blown into areas that need insulation such as an attic or any wall cavities. Professionals usually handle a job like this, as it is a meticulous task that involves an even distribution of insulation. There are three main types of blown insulation – fiberglass insulation, mineral wool and cellulose insulation. Fiberglass insulation is small particles of spun glass fibers, mineral wool is made from rock or steel slag, and cellulose insulation comes from recycled newspapers and cardboard. Opting to use blown insulation above any other insulation is actually highly beneficial to consumers. Not only is it economical but it is much easier to install in hard to reach areas. With people doing everything they can to help the environment by ‘going green’ and purchasing eco-friendly products, blown insulation is just another thing to add to the list. 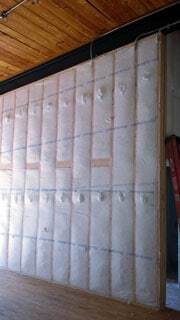 This type of insulation is eco-friendly because it makes use of recycled materials. Therefore, you are not only helping your home by keeping the desired air in and the unwanted air out, but you are also benefiting the environment on top of it. If you are looking to insulate your home, check into what blown insulation can do for you. You can have a professional come out and insulate your home for a reasonable price, all while doing your part to protect the environment.